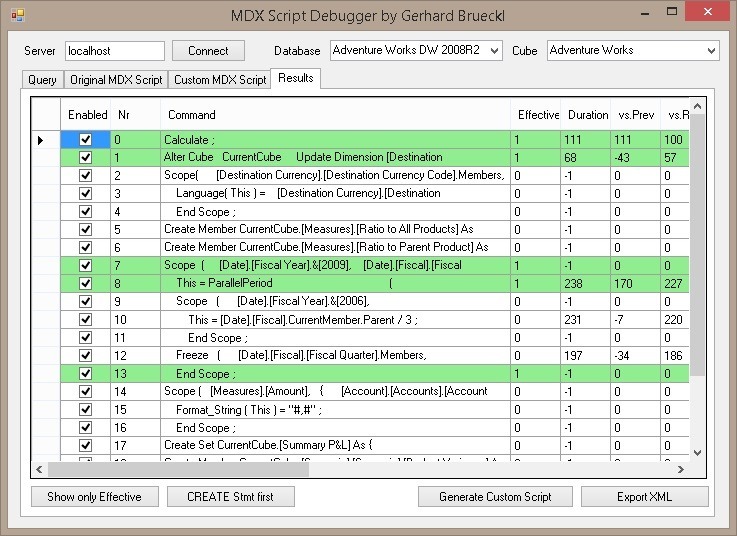 I recently built a tool which should help to debug the MDX scripts of an Analysis Services cube in order to track down formula engine related performance issues of a cube. As you probably know most of the performance issues out there are usually caused by poorly or wrong written MDX scripts. This tool allows you to execute a reference query and highlights the MDX script commands that are effectively used when the query is run. It provides the overall timings and how long each additional MDX script command extended the execution time of the reference query. The results can then either be exported to XML for further analysis in e.g. 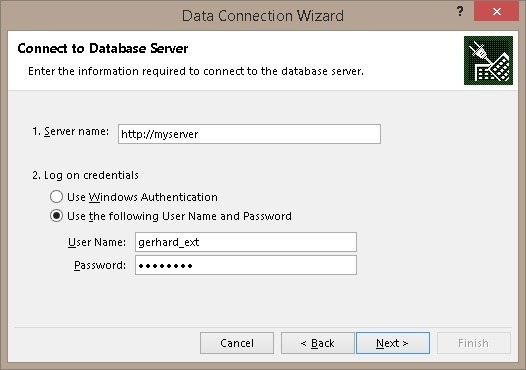 Power BI or a customized version of the MDX script can be created and used to run another set of tests. – just joking every feedback is good feedback! Below is a little screenshot which shows the results after the reference query is executed. The green lines are effectively used by the query whereas the others do not have any impact on the values returned by the query. Looking forward to your feedback and hope it helps you to track down performance issues of your MDX Scripts!